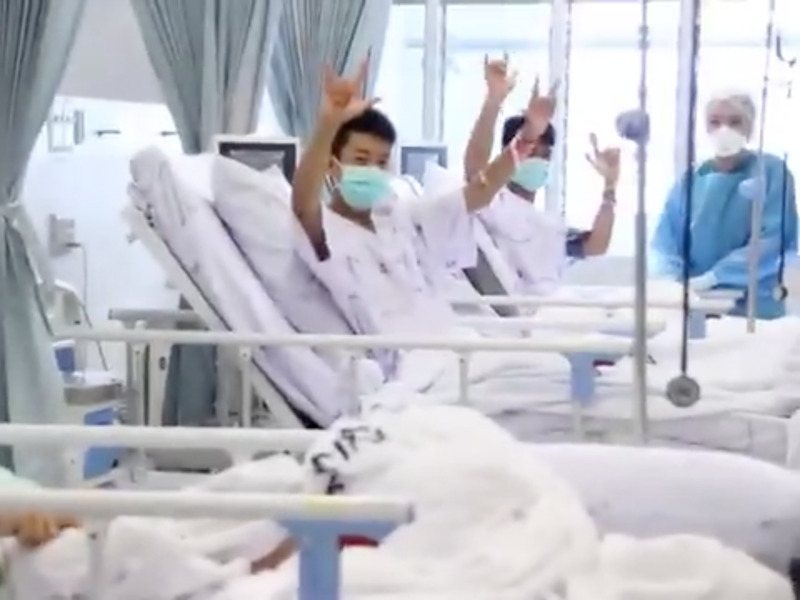 The first clips of the Thai soccer team recovering in hospital have been broadcast at a celebratory press conference. They can be seen wearing face masks and hospital gowns in their sterilized unit. Their parents can also be seen waving to them on the other side of a glass window. Thai officials have shown the first videos of the soccer team recovering in hospital after their dramatic escape from a flooded cave complex. Members of the Wild Boar soccer team can be seen wearing face masks and hospital gowns in separate beds in a sterilized ward, in a series of videos shown at a press conference on Wednesday evening.